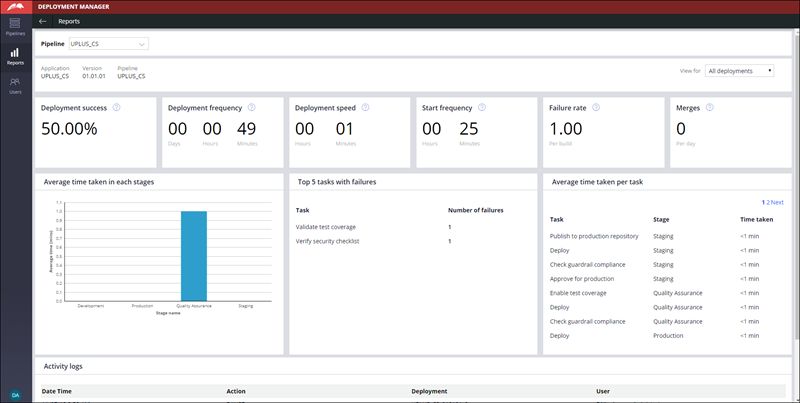 Beginning with Deployment Manager 4.2, you can use a dedicated Deployment Manager portal to manage continuous integration and delivery (CI/CD) workflows for your Pega applications. By using the new portal, you have greater control over access to Deployment Manager. You can limit access for specific operators who need to perform only release management tasks. An operator no longer needs access to the Dev Studio portal to use Deployment Manager. 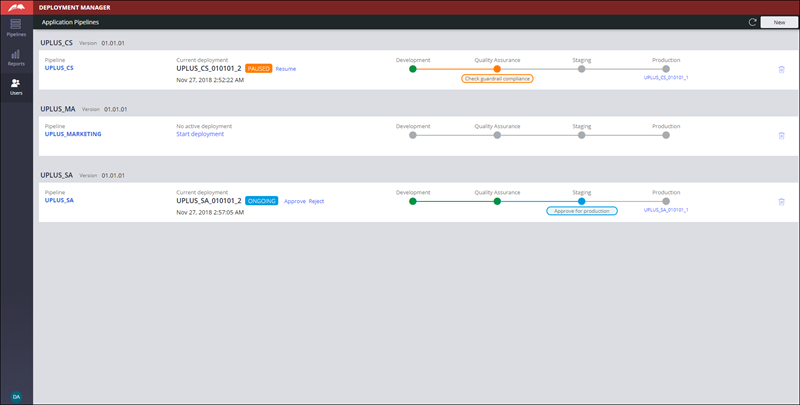 Navigate to specific pipelines to start deployments and perform other actions. Access the reports for specific pipelines directly from the navigation pane. Switch seamlessly to Dev Studio to manage your repositories and authentication profiles. The following figures show the dedicated Deployment Manager portal. For more information, see Using Deployment Manager 4.2.x.